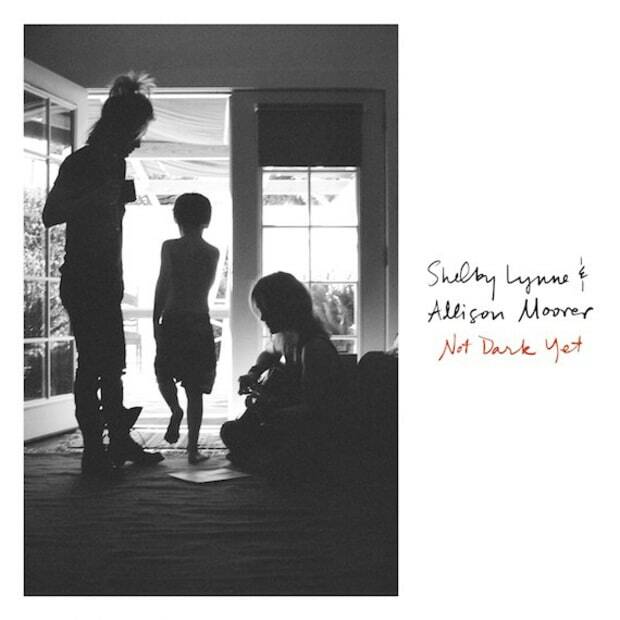 The lateness of this first, yet seemingly natural, collaboration of sister singer-songwriters carries old, heavy freight. Both witnessed their father kill their mother, then himself, in the backwoods of Alabama. Decades past, finally realized, Not Dark Yet reveals both as artists mature enough to transmute tragedy into a deep array of poignant expression. The album cover does depict three figures wholly shrouded in shadow, a teenager and an adolescent frolicking while a third person plays guitar. Lynne is a fairly straight country artist and younger sister Allison (the ex-spouse of Steve Earle) is decidedly alt-country. And yet, they avoid the sentimental pitfalls common to country autobiographical song with a brilliant array of covers of other singer-songwriters, save one song by Lynne. The title song, one of Dylan’s best late period creations, clearly encounters trauma’s impact: “Feels like my soul has turned into steel/I’ve still got the scars the sun didn’t heal.” Yet it has graceful depth, an offhanded philosophic recognition of darkness’s inevitability in life. Here and elsewhere, their voices’ blood-matched closeness plumbs their souls and touches the listener. Or perhaps they’re searching for their martyred mother in Jessi Coulter’s “I’m Looking for Blue Eyes.” Here their vocal harmonies are soul-straining but wrenchingly radiant, entwining each other like tendrils of a crown of thorns. Or hear the yearning of Jason Isbell’s “The Color of a Cloudy Day”: “I can never find you in my dreams,” an obsessively repeated refrain. Nirvana’s “Lithium” activates a chemistry that seems to reach into the sisters’ shared historical essence. A forlorn, layered spirituality dwells in this album, an acceptance of the larger mysteries. And yet, such fathomless beauty and tenderness carries through their lovely, life-worn voices that one feels them, not merely as orphans, but as women artists who have lived, lost and learned. This is among the year’s most indelible roots music albums. And it’s an activist statement: They list the contact information for the National Coalition Against Domestic Violence beneath the inside-cover song titles and credits. In Milwaukee at least, spring is in the air, and in the earth and the river. The pathway along the Milwaukee River down below Kern Park is still fairly muddy but leaf padding of decayed brown and faded gold along each side of the path allows fairly brisk negotiation. Ah, but if you pause to observe nature’s inexorable might, the big river flows swift and strong in it’s fluid, forward tumble. 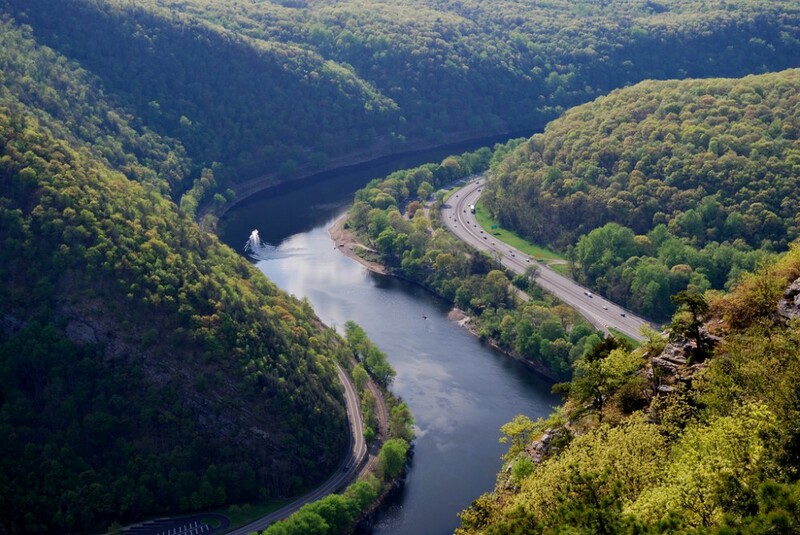 The quirky rhythm of the meandering pathway and the propulsive rhythms of the river are part of the essential music of the heartland which helps, perhaps subconsciously, inspire the rhythms and melodies of human music which emerges from the vast, green, heaving chest of America, The Heartland. So it is now time to respond to that embrace’s cultural power. 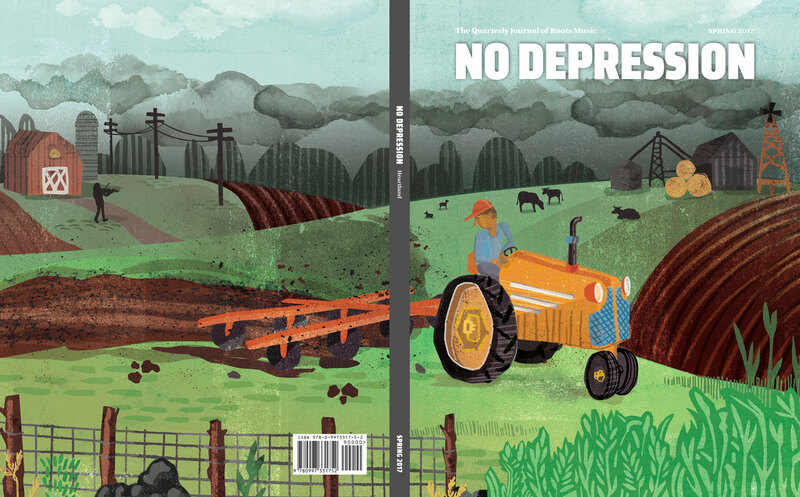 There’s no better way to do so in one fell swoop, short of turning on a Jayhawks CD or a rootsy radio station, than the Spring 2017 issue of No Depression, The Quarterly Journal of Roots Music, entitled The Heartland. Full disclosure: the issue includes an article by this writer, a survey of upper Midwest venues that cater to roots music, ranging from a working CSA farm to a poster-bedecked Madison basement house-concert venue. The 160-page coffee table-sized journal began by defying most digital media trends through reasserting intellectual and aesthetic quality in real print. Editor-in-chief Kim Reuhl has stood on the shoulders of the strong journalistic tradition pioneered by her predecessors Peter Blackstock and Grant Alden when they began the original No Depression magazine in 1995, dedicated to the growing movement of roots music that looks forward as much as it reaches back into the past. When the magazine ceased operations it continued as a very strong community-oriented website. Then a new business partnership with The FreshGrass Foundation in 2015 opened the doors to reinvent No Depression as a new kind of print music publication. Indeed, as you sit with a copy of the journal in your lap, the photography and artwork, often spreading across both pages, has the scale and quality of a wide laptop screen of digital imagery. This graphic sensation reminds us that the experience of roots music rises from the thick, layered and complex texture of American culture, the intersection of our strong ethnic musical traditions which remained the envy and allure of the world over. Sparing more self-service, I’ll let my article “Fill the Room: Peeking in on the Upper Midwest’s Music Venues” speak for itself. I haven’t even read the whole issue yet, but it seems brimming with highlights, including Margaret Daniels’ examination of the Midwest seedlings of Bob Dylan’s voracious scholarly genius. She draws connections to Dylan’s fellow Minnesotan literary lion F. Scott Fitzgerald including, as Dylan put it in his recent Nobel Prize for Literature speech, how the two writers share “inarticulate dreams” which they both honed to gleaming and haunting vividness. Katherine Turman’s far-reaching re-examination of so-called “heartland rock” reveals it to be a complicated and far-flung musical phenomenon with improbable classical music foundations, melding sophistication with the jagged edge. She also shows how such big-shouldered music has helped sustain the success of the Farm Aid benefit concert series by connecting with stadium-sized crowds, which the more coffeehouse-scale dynamics of much roots music can’t quite reach. Historically deeper still is Stephen Deusner’s unearthing and reclamation of the seminal Indiana vernacular music “recording laboratory” Gennett. The label gave us, among other things, Charley Patton’s harrowing 1929 country blues hollers, and Louis Armstrong’s dazzling New Orleans-style jazz recordings with King Oliver, from 1923. I was also impressed with an interview-profile with singer-songwriter Peter Mulvey, a figure with a street-corner Socrates flair. He annually travels around his native Wisconsin on a bicycle, which allows him to feel the warp and the woof of both cities and rural regions, above all his still-troubled hometown of Milwaukee. The article also reveals Mulvey’s passion and debt to poetry, in his use of concise imagery and artistic “breathing space.” Author Erin Lyndal Martin shows how Mulvey achieves a balance between the philosophical, the political and the poetical, while engaging and challenging with musical storytelling and a palpable openness of spirit. That’s what much of the best roots music does, but in ways characteristic of each artist or group. When you open the wide pages of this journal, it’s a bit like peeking into that big, defiantly persistent American heart. For a preview of the “Heartland” issue and mail ordering and retail outlet information, see below.